Industrialist Powel Crosley repeatedly tried to enter the motor industry prior to WWII, but his efforts producing a 59-pound Navy engine during the war finally provided him with a viable mass-market product. Following the armistice, Crosley fitted the 26.5-hp, 44-cid COBRA (copper brazed) engine to a new Crosley, which started production in 1945 as 1946 models. The cars were very basic, with a beak-nosed, slab-sided two-door sedan and a convertible whose top slid down the side rails, leaving the windows in place. In the first year, Crosley sold 4,999 vehicles, including 12 convertibles. 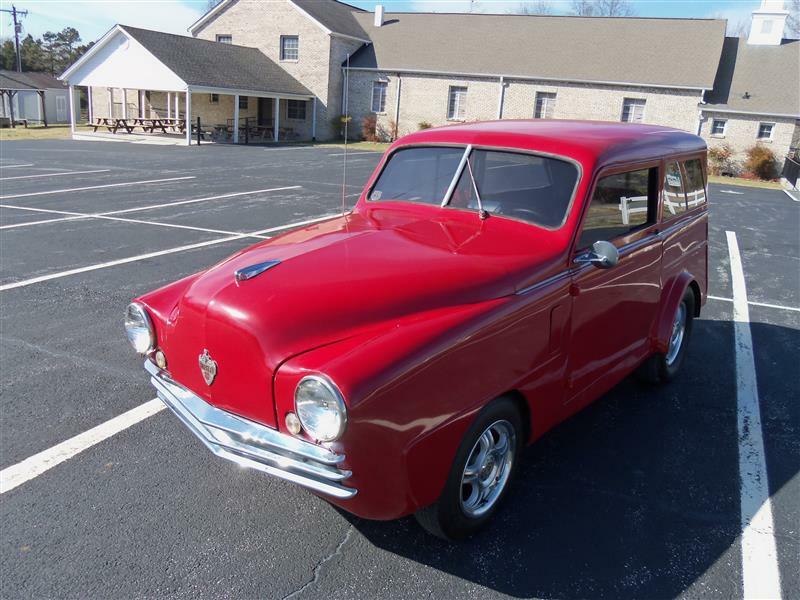 For 1947, Crosley added a two-door station wagon and sales boomed to 19,000 units due to the overall new car shortage. Crosley was hoping for 80,000 sales in 1948, but the Big Three redesigned their pre-war models and his models suddenly looked dated. Still, Crosley sold 29,000 cars, which would prove to be his best year. Most popular by far were the station wagon. Crosley restyled his range with a more modern nose in 1949 but sales plunged to just under 7,500 units as the Big Three ramped up production. Crosley fought back with his Hot Shot two-seat sports car, which had bug-eye headlights and a fold-down windshield. It was to prove very competitive in its race classes and 752 were sold. By this point, the sheet steel engine block was proving porous, as electrolysis created pinholes in the water jacket. Crosley’s reluctant solution was to introduce a cast-iron, fixed-head block, standard on the Hot Shot and retrofitted the engine to many other cars. A similar fate befell his disc brakes, which succumbed to road salt. For 1950, there were several lines of Crosley, with the Standard, Super, Hot Shot, and Jeep-like Farm-O-Road. Sales of all vehicles slid below 7,000, and then further to 6,600 in 1951. By 1952, Crosley realized his time was past and pulled the plug on June 3, after 2,075 vehicles had been produced. Today Crosleys have a small but dedicated following. The Hot Shot preceded the influx of British sports cars in the 1950s, and is quite collectible, especially in Super Hot Shot guise. Other models appear crude today and make America seem very big, though the Farm-O-Road has charm in the vein of a Mini Moke, and the wagons are equally cheerful.